The Apple Macbook Pro Md101hn-a 13 inch has a display that will make sure your friends and family are more than impressed with it. The 13.3-inch itself is large enough to let you enjoy the view without squinting, but the quality of the display is what sets this laptop apart. This LED-backlit glossy widescreen display is also powered by the Intel HD Graphics 4000 card, making sure it can support literally millions of colors, to give you the finest contrast, most vivid colours, sharpest edges and truest blacks, for a viewing experience that you simply can’t take your eyes off. Although enabled for the 1280 x 800 pixel resolution, it can support other resolutions as per your choice. Take computing to the next level with Apple Macbook Pro Md101hn-a 13 Inches. It is powered by 2nd Generation Intel Core i5 Processor with a clock speed of 2.5 GHz and 3 MB L3 cache memory, which make sure you enjoy fast and efficient performance. The laptop is loaded with Mac OS X Lion, which promises a plethora of applications that are entertaining, interesting and engaging. The included software encompasses Mail, Messages, Contacts, Calendar, Safari, Reminders, Notification Center, Notes, Dictation, iCloud, Time Machine, FaceTime, Photo Booth, AirPlay, Game Center, the Mac App Store, iTunes, Gatekeeper, iPhoto, iMovie and GarageBand. Further, packed with more than four million pixels, Apple Macbook Pro Md101hn-a offers stunning display. 2560 x 1600 pixels resolution on this 13-inch notebook lets you see more of your high-resolution images with pixel-for-pixel accuracy. Buy Apple Macbook from iGoods and experience power like never before. The Apple MacBook Pro weights 2100 grams, making it a light-weight, easy to carry laptop by the brand. It’s features and fast processor with a battery life of 6 hours, makes it a convenient travel buddy especially during flights and for business meetings to listen to songs or watch movies. 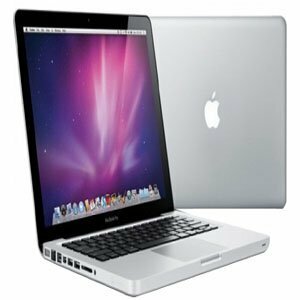 · The Apple MacBook Pro display is a 33.78 cms (13.3) HD LED-backlit glossy widescreen display with a 1280 * 800 pixels resolution. This display takes your movie and gaming experience to a different level.